Dharamsala is a hill station located in the state of Himachal Pradesh in India. Dharamsala is known for being the hub of Tibetan Community Tibetan guru Dalai Lama’s residence s also located in this place with the headquarters of Central Tibetan Administration. The Tibetan roots in Dharamsala back from 8th century and it was the summer capital of India. But most of the City was demolished in the earthquake in 1905.Dharamsala is a place where you can explore the Tibetan Community at best and that is why you can move to a a various places like McLeodGanj, Dari, Khaniyara, and many other places where you will get to see various Tibetan monasteries, museums, statues, and libraries. 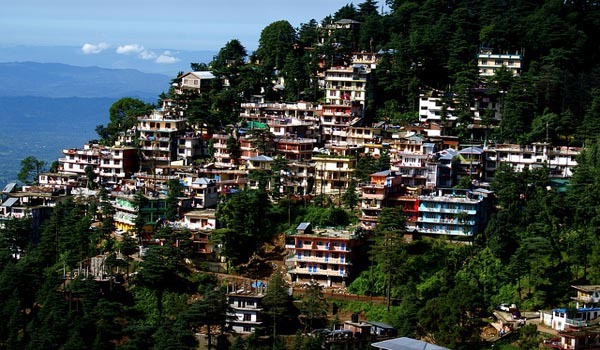 Dharamsala is a place where you can visit various Tibetan hubs and to find one you can visit McLeod Ganj which is also famous for being the residence of the Tibetan Guru Dalai Lama. In this place, you can see the Tsuglag Khang, which is the Dalai Lama’s temple. In this temple, you can see the statues of Shakyamuni, Avalokiteśvara, and a statue of Padmasambhava (Guru Rinpoche). Other things you can see the Namgyal Monastery, Mani Lakhang Stupa, Nechung Monastery, the Tibetan Institute of Performing Arts, Gompa Dip Tse-Chok Ling, the Library of Tibetan Works and Archives, Gangchen Kyishong and also buy many other Tibetan handicrafts and items. You can visit the Naam Art Gallery and the Peak Art Gallery if you are an art lover, where you can see beautiful paintings and have a great time. You can also visit the Kotwali Bazar is home to several activities and local attractions such as the Kangra Art Museum, the Sangam and parks named as Gandhi and Nehru Parks. Dharamsala is a place where you can go to learn for various performing arts such as Kundalini Yoga, Yoga, and Meditation, paragliding, mental and physical healing and many other activities from which you have good time. In Dharamsala do not miss trekking as there are various trekking passes in this city. Indrahar pass, Dal Lake Triund and Bhagsu Waterfall are some of the places where you can go for extensive trekking as these places are naturally beautiful and if you want to take a bath in the Bhagsu Waterfall while trekking, be careful as the path is quite slippery. While visiting Dharamsala you must try to visit Dalai Lama as in this place in McLeod Ganj is called as the residence of this Tibetan guru. You can have a great spiritual experience by meeting this person. It is a fact that meeting Dalai Lama is certainly a dream for everybody and there are certain days are present on whichyou can visit His Holiness; you can contact the Tibetan Branch Security Office (near Hotel Tibet) to register yourself before some days and you are also required to find out that if His Holiness is present in the town or not at the time of your visit. You can have great Tibetan food and drink in Dharmasala as there are great food outlets are present here. Help us to improve this article/list "Dharamsala". We would be glad if you can comment below and provide your valuable suggestions and feedback. If this page about Dharamsala have any wrong information/list or out of context content, then you can report us as well.